Arnav and Khushi came into the living room to see Nani and Di, both fuming and waiting to unleash their anger on them. ‘Nani!’, called Arnav worried, looking at the annoyed faces of his loved ones. ‘Na… Nani…ji. I …don’t know, what … you are …’, Khushi was scared and confused at the same time. Arnav and Khushi, both had no clue about what it was that Nani was so angry about. ‘Not happening Chotey, but going to happen. A small baby is going to come into our house, right?’, Anjali said giggling. A bout of shyness came over Khushi and she hid behind Arnav. Arnav too didn’t know what to say, but couldn’t help grinning. ‘Congratulations to both of you’, Nani and Di said in chorus. ‘We thought since you’ve been taking so much time to tell us, leaving us confused, we will also do the same but in our own way’, said Nani and laughed. Arnav was happy and relieved that the news is finally out. Anjali pulled Khushi out from her hiding and made her sit between herself and Nani. ‘Khushi bitiya, you have given me so much happiness today, I am really elated. I am going to be a great grandmother. I still can’t believe it’, Nani exclaimed. ‘Yes Nani, and I am going to be a Bua. And these two were taking so much time to tell this’, said Anjali. ‘But Di, how did you come to know about this?’, Arnav finally asked. ‘That I will tell you, but first you show me the reports’, demanded Anjali. ‘Reports, oh yes … they must be in the car … No wait… I think I forgot them at the reception counter at the hospital’, remembered Arnav. ‘Yes, exactly. That’s why the receptionist called up just now at the landline number. When I asked her what the reports were about, she told me everything. And, that’s how we came know. Good that you forgot them, otherwise you both were taking forever to tell us. She will be sending those reports home tomorrow early morning’, Anjali explained. ‘I know, Chotey. And it’s okay. I am so so happy for both of you’, Anjali said walking towards Arnav. ‘A… Arnav Bhaiyya, Khushi Bhabhi… ‘ Arnav turned around hearing that voice. It was HP waiting hesitantly just in case he might get shouted at again. When he saw that Arnav wasn’t annoyed, he continued, ‘Please accept my congratulations ‘, he said. Arnav smiled and nodded acknowledging and HP, content with the response, went to get sweets. Nani hugged Khushi and Di hugged Arnav, all extremely happy. Arnav and Khushi looked at each other, mutually agreeing to be together always and looking forward to this beautiful phase of their life. After a few months, Khushi gave birth to a beautiful girl. They named her Arshi, which meant mirror, as the child was a reflection of Arnav and Khushi’s immense love. It had been three years since Arshi was born. Her birthday was celebrated with a big birthday party given by Arnav and Khushi. It was night time. The guests had left, other family members retired to their rooms for the night and little Arshi was put to bed by her mother. Little Arshi went to sleep contently in her new pink bed decorated with her favourite cartoon characters. Arnav was sitting on the recliner, working on the laptop. Since he was busy with his little one’s birthday celebrations, he had lot of pending work lined up to be completed before the end of the day. Khushi came and sat on the recliner behind him. 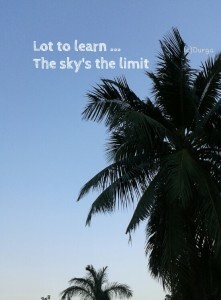 ‘Hmm..’, Arnav responded without looking up from the laptop. ‘I know Khushi, you’ve been so busy with the birthday arrangements for the past week. Don’t worry, just take some rest. You will be fine soon.’, said Arnav without thinking, while typing on the laptop. Khushi was surprised because she expected a different type of response. She decided to try again. ‘Arnavji, I don’t even feel like eating jalebis’, she said. ‘Hmm… ya… okay… then eat chane instead’, Arnav suggested. Hearing that, Arnav stopped typing and looked up at his wife. He soon realized what the whole conversation was about, got up from the recliner and stood in front of Khushi. ‘Khushi, what are you saying? Are you serious? 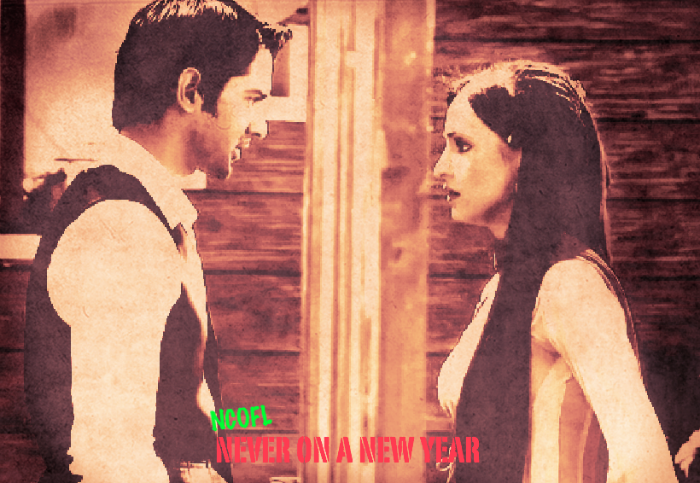 You mean you are again… we both are going to …’, asked Arnav enthusiastically. ‘I think so, that’s why I’m saying we need to go to the doctor, to get it confirmed’, said Khushi with a shy smile. ‘Oh Khushi, this is great news! We will definitely go to the doctor first thing in the morning’, exclaimed Arnav and hugged her. 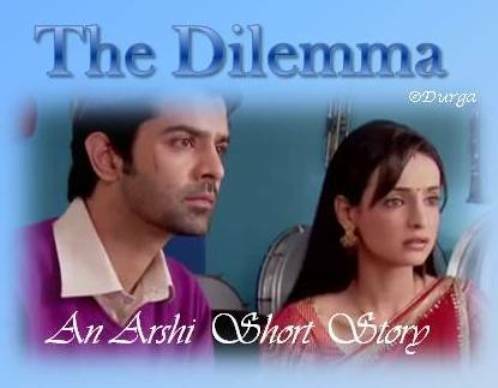 ‘Once, it is confirmed, how are we going to convey the news this time?’, Khushi wondered. ‘Hmm… Good question. But it is simple. We just have to forget the reports at the counter again. That’s all’, said Arnav and began to laugh. Khushi got astonished at his solution but soon joined him in the laughter remembering the happenings of the day more than three and a half years ago. The Dilemma is a cute story. I know you are a housewife and want be an author and I appreciate the thoughts and want to give every possible encouragement I can in your endeavour. Is that ok? So write on. Being a housewife is also an important career and only a strong woman can perform well. Hi Anna, thanks for the encouragement. Glad you liked the story. Oh the job of a housewife is never easy. The challenge to take out some time to indulge in writing is always there. Thanks Smitha. Glad you liked the story.